The Leveson sting: extra costs even if you win a case? The thing that struck me most as the media scrambled to report the publication of the Leveson Report was this: no one had really read it. I mean, of course, really read it. All of it. Some had read one section; others had read another. Some had even read the executive summary. But none had read – and digested – all of it. It was impossible to. Even journalists reviewing the final Harry Potter novel had a whole night to stay up reading it. The Leveson Report had no wizards. Instead, it had Richard Desmond. And Popbitch. And those were the best bits. Since its publication – despite the lack of wizards – I have been saturated in Leveson coverage, and disappointed with most of it. In an attempt to present their opinions as definitive, authoritative, many reporters have bluffed it. And it would have been worse if we didn’t have CTRL+F. Worse, some publications’ ideological opposition led them to exaggerate some of the report’s suggestions – most notably: that those who didn’t sign up to a regulator would be subject to Ofcom. That is not what the report, it seems to me, says. The Ofcom “backstop” is only recommended as an option if the majority of publications do not sign up to a regulator. So you can be the black sheep if you like – as long as there are enough white ones to satisfy the regulator. The problem is that the report is bigger than us all – and has far too many grey areas to suit a Grand Narrative. And in The Sunday Times, a multi-authored article told the story of a US investigation which might not be possible under a Leveson-inspired regime because the reporters didn’t know there was a genuine public interest until they had dug into a politician’s deeply personal details. Between the two, and dozens of others quoting victims on both sides, you got the balance of feeling about Leveson. In short, everyone managed to find problems in his report. If this was an article and you were the writer, that would probably be a sign that you’d got the balance about right. Surprisingly, Twitter has proved itself much better at pulling out the devil in the detail. Without the pressure to paint the Big Picture, some users have drilled down and stuck to specifics. I used Storify to pull that detail out last week. My own interest is as tunnel-visioned as any journalist: I want to know how this affects online publishers, and investigative journalists in particular. Like Davies, I’m particularly interested in the proposals to provide a low-cost alternative to defending libel cases. The significance of this cannot be understated. One of the biggest obstacles to investigative journalism could, potentially, be removed. That’s a pretty big carrot, if I may say so, Lord Justice Leveson. Or to paraphrase, if someone does not join the regulator: even where the publisher (defendant) is successful the claimant would not pay their costs, and the publisher would. Now, this is all hypothetical. The Problem With Leveson is that it is only a series of recommendations, suggestions, and scenarios. But it’s worth discussing, nonetheless. It’s what we do with the report, after all, that really matters. This entry was posted in regulation and tagged Jon Walker, Leveson, nick davies on December 4, 2012 by Paul Bradshaw. On the stick – The point of Leveson’s proposals in this area is to say the following: If you have chosen not to follow the ways of the independent regulator, and thus caused an individual to spend more money to bring their case to be assessed, in this case by a court instead of by an arbitration panel, then you not being a part of the regulator is the problem. Yes, you could be successful, but as long as the claimant is not vexatious and was reasonable in taking their case to court, it’s unfair on them to bear the cost of having their case heard by a court just because you won’t follow the golden standards of arbitration. This does work both ways of course, as a carrot, in that if a claimant refuses to go through an arbitration panel when you abide by the regulator’s processes, they can face the same result. In theory it pushes everyone towards an arbitration model, with the option of going to court if they feel strongly…however no-one will face increased costs at court if they have tried to resolve things through the suggested processes, and judges will need to decide on that on a case by case basis. One point which I think is unclear is which organisations this would apply to. Clearly it is aimed to organisations which have chosen to opt out of the regulator, thus denying complainants the opportunity to pursue a grievance without without resorting to legal action, as Lee Griffin says. But it can only apply to organisations which it is reasonable to say *should* be part of the regulator. It won’t apply to the secretary who writes a school newsletter or to someone who puts a poster up in their local library. It will apply to the Daily Express. Where is the line drawn? Leveson doesn’t directly address this, other than to say “therefore recommend that a new system of regulation should not be considered sufficiently effective if it does not cover all significant news publishers. The challenge, then, is to find a way of achieving that result.” (Part K, Chapter 7, 3.14). He doesn’t define “significant news publisher”. Note that self-definition clearly doesn’t work, as nobody will voluntarily define themselves as someone who should be in the regulator but chooses not to be. All you get if you do that is higher bills. As you have previously pointed out Paul, Leveson later states: “It is my clear view that, wherever the line is to be drawn, all the national daily and Sunday titles should fall within the regulatory system. Equally, regional and local titles with a significant readership should be included within the system. It is more difficult to be clear about what types of online service clearly should be inside or outside of a regulatory system. 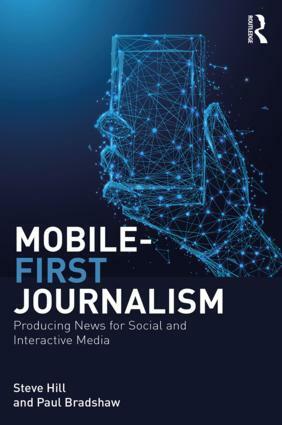 However, it would clearly be appropriate that websites providing news coverage aimed substantially at a UK audience, with a substantial stable audience should be covered by any new regulatory system.” (Part k, Chapter 8, 6.20). However, at this point he is referring to a potential backstop regulator which would be introduced if (and only if) news publishers fail to form an appropriate independent regulator in line with his recommendations. So we are still left with the question – who exactly is expected to join the independent regulator? To put it another way, who will get hammered in the courts if they fail to join? 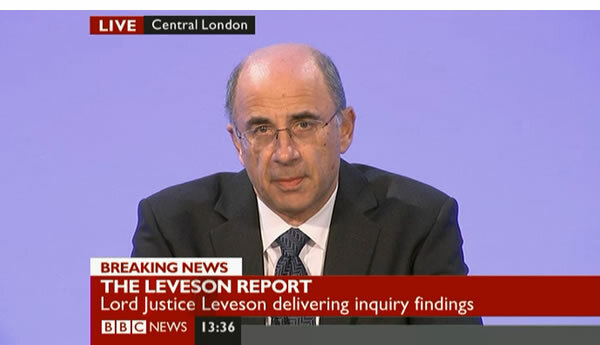 Unless I have missed it, Leveson does not say. That would presumably leave the decision up to individual judges. But one thing we cannot assume is that online news publishers would be excluded. Indeed, if Leveson expects “websites providing news coverage aimed substantially at a UK audience, with a substantial stable audience” to be included in any backstop system it seems illogical to think they would be excluded from the “independent” system. Another thought occurs to me – I imagine we will get an answer to that question when the parties publish their proposed draft Bills, although as Labour and the Government are apparently working on separate, rival Bills we may get conflicting answers. I’m not sure draft legislation will give an answer to this. Why should it? To provide the answer you’d have to think incredibly hard about where to draw a firm line between the “ought if they were sensible to be regulated” and the “understandable that they’re unregulated” publishers. An incredibly difficult abstract task, which would almost certainly result in a test that’d be rapidly outdated. 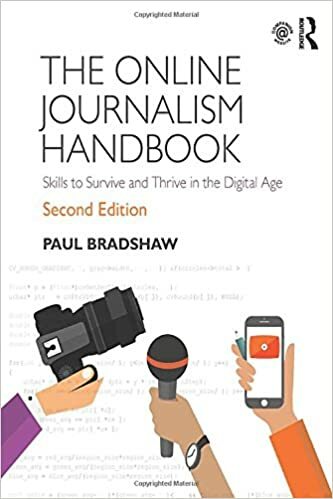 In particular, the press has a lot of latitude in coming up with its self-regulator, and the approach it takes (if it ever does this) could make a nonsense of whatever test the legislation laid down – for instance by opening subscription to fewer blogs than the legislation contemplated. So If I were working on this legislation, I’d advise it be left to judges. If an actual case came to court it might well be obvious which side of the line a blog (say) fell. The answer might depend on the structure of the regulator’s entry requirements and how the blog (say) fitted them. And factors other than just this line, such as the conduct of the parties, might be much more important to the costs issue. The other advantage of this approach is that judges could develop guidelines on this gradually, over time and as online publication develops further. The way I see it, Jonathon, is that Leveson’s whole point was that the awarding of costs is a task for judges, and that legislation and practice should see it available for judges to award higher in those cases where the regulator has been avoided and the judge feels that it’s appropriate to punish the publication for that. I thought the beauty of this is that it does leave the definition gloriously open for future changes to how we consume news. As more HuffPo’s come about, or as new models of news creation and publication come around, this “stick” could be equally applicable to them. Surely organisations will start to understand when they are becoming big enough that it’s a good idea to join the regulator on their own, but I am not aware that any of this discussion so far has looked at models for how to aid organisations to understand when they should be thinking about making that jump. I’m not sure we need models, do we? It seems to me it depends how open the press makes it. I’d be tempted to make it a bit like AA membership (or something) for bloggers. If you’re a small independent blogger, making no or next to no money, and aren’t facing any threat of litigation, it could a very low, proportionate fee (say £100 a year, or maybe even free). But if you have an unresolved claim, you can still join (at this point it should be pretty obvious you should join) but it’ll cost you a bigger fee to reflect the likely cost of arbitration actually having to be used (perhaps £1000). There are systems of alternative dispute resolution where the total cost of a decision is less than £1000 – see Nominet’s “DRS”, for instance. You might not want to be quite that streamlined, but you might. It depends on the press. I think maybe I used models in the wrong way. I didn’t mean so much models as to determine who should be regulated or not, as much as support mechanisms within the regulatory body that publishers should be encouraged to use to help themselves determine when they should “join the party” or not. It seems inefficient to leave it to the point where they are within a grey area when it comes to a court awarding costs, not least because you don’t know you’re in a grey area or not until you get there! As Jonathon says, if and when we have test cases (as far as that is applicable when it comes to awarding costs) that may get clearer, I fear that all cases will be quite individual outside the realms of the “main” publishers and won’t provide smaller or growing publishers with the information they need. Yes – that sounds a very good idea. It might also be important for different levels of membership, or different services, to be available so that you could choose a lighter kind of regulation if it suited you. Okay, thank you both. One point I would like to add if I may. Bear in mind that this isn’t all about major publications, or publishers. The Cleethorpes Chronicle will be expected to sign up as well as The Sun, or so I’ve always assumed anyway. So I’m not certain we can assume that organisations have to reach anything like HuffPo levels before they become eligible for the carrot and stick (ie from the charge that they avoided the regulator). Perhaps the limit won’t be clear until there is a test case or two? Absolutely – it seems to me there’s no reason why the self-regulator shouldn’t be open to individual tweeters, even. It might seem weird now, but might not in a few years. If only a few small bloggers or tweeters signed up, judges would be slow to “expect” others too, I imagine. But if some sort of light self-regulation really took off, it might be more reasonable to expect people to join it. Absolutely – it seems to me there’s no reason why the self-regulator shouldn’t be open to individual tweeters, even. It might seem weird now, but might not in a few years. If only a few small bloggers or tweeters signed up, judges would be slow to “expect” others to, I imagine. But if some sort of light self-regulation really took off, it might be more reasonable for judges to expect people to join it.